Deputies who work in the K-9 division are selected after a rigorous tryout and interview process. K-9 patrol deputies are assigned to rotate with the criminal patrol shifts and respond when needed on all K-9 related calls. Whether it’s a vehicle search or a fleeing felon, the deputies and their K-9 partners are on patrol 24 hours a day, ready to assist at a moment’s notice. of training that make them one of the best law enforcement K-9 units anywhere. 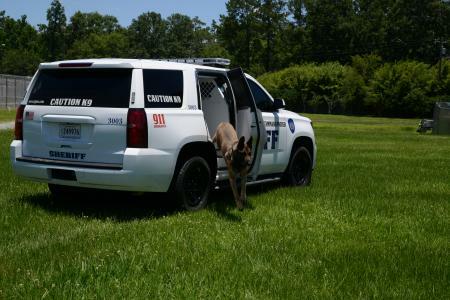 Whatever the situation — a crime in progress, a drug law violation or a lost hunter — the St. Tammany Parish Sheriff’s Office K-9 Division is always ready, willing and able to meet any challenge, day or night.